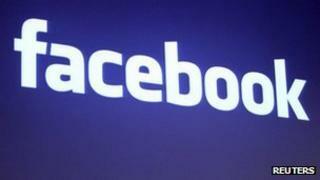 The world's most popular online social network revealed that its income rose to $1.26bn, between July and September. The revenues exceeded expectations, but Facebook's performance remains in the red, following a loss of $157m in the previous quarter. Facebook's shares have lost about 50% since its stockmarket listing in May. The company is struggling to turn its online dominance into profits. Facebook revealed that 604 million of its 1.01 billion users access its site using a mobile device. "People who use our mobile products are more engaged, and we believe we can increase engagement even further as we continue to introduce new products and improve our platform," claimed the chief executive, Mark Zuckerberg, in a statement. A bright note for investors was that revenues from advertising increased 36%, between July and September, compared to the same period last year. "Advertising revenue from mobile was the number that really stood out," said Arvind Bhatia, an analyst at Sterne, Agee & Leach. Mobile revenue of $152.6m made up 14% of total advertising sales, which analysts said came in above their expectations. Chief financial officer, David Ebersman, said Facebook had a "solid performance" in the third quarter. Facebook did not provide guidance for the current quarter or beyond, a practice it has maintained since its first earnings report as a public company in late July.